It is a known fact that the unique combination of the legendary actor Mohan Babu and Allari Naresh are going to come together for a film. 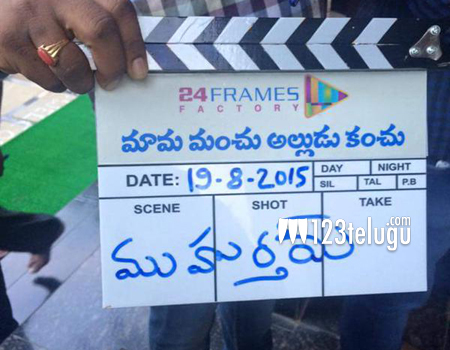 The latest update on this project is that the film was launched in Tirupathi earlier today. Srinivas Reddy of Damarukam fame directs this project for which the pre-production activities are going on in full swing. This is the first time that Allari Naresh will share screen space with the legendary actor. Keep watching this space for more interesting updates on this project.